IntelliLinkTMWireless Remote Display Unit: All the controls at your Fingertips. S-XRSTMMaximum Performance Technology: Simply the best Detector Available! Extreme Bright DataGrafixTM: Customize display color to match your taste. Discreet and Easy-to-Install: Versatile mounting options. 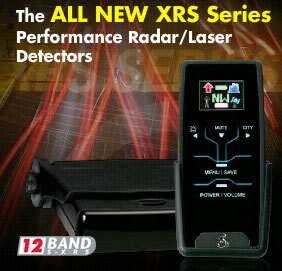 Other Radar/Laser Detector Fearures: The most feature-rich Detector available! 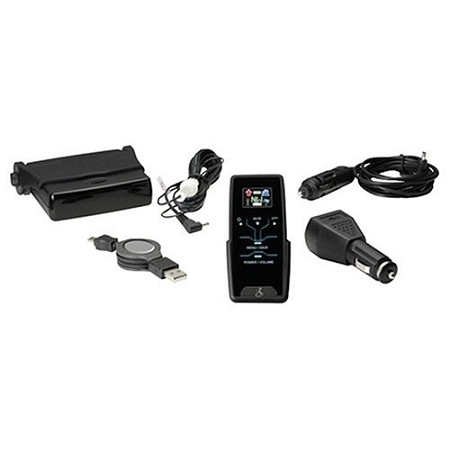 IntelliLinkTM2.4GHz Digital Wireless Remote System Comes with Rechargeable Li-Ion Battery Pack, the compact Remote Display Unit/Controller Wireless Remote System brings all the controls for your Main Radar/Laser Detector Unit as well as the optional GPS-based Locator functions to your fingertip, using IntelliLinkTM2.4GHz Digital Wireless Remote System(see optional GPS-based Locator Features below for details). The Remote Display Unit/Controller also comes with holster type bracket with interchangeable AC Vent Mounting Clip and Sunvisor Mounting Clip. Retractable USB Power Cord with modular 12V Cigarette Lighter Plug Recharge Li-Ion Battery for the 2.4GHz Digital Wireless Remote Display Unit/Controller in the vehicle or through USB port on the computer. 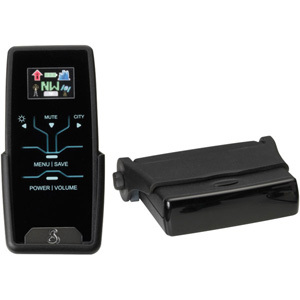 Easy-to-Install, Discrete, Main Radar/Laser Detector Unit Place the Main Radar/Laser Detector Unit behind your rearview mirror or dash. Comes with 2 types of power cord and adhesive-backed cord clamps for easy and discrete installation. S-XRSTMMaximum Performance Technology New and improved Super-Xtreme Range Superheterodyne (S-XRSTM) detection technology,with its super-fast radar lock-on detection circuitry, provides maximum detection range and best possible advance warning to even the fastest of POP mode radar guns. Voice AlertTM Warns driver with specific voice annunciation of the signal being detected. VG-2 AlertÂ®/Undetectable Provides complete immunity and alerts the driver when under surveillance of VG-2 Radar-Detector-Detectors. Spectre AlertTM/Undetectable Provides complete immunity and alerts the driver when under surveillance of Spectre 1 Radar-Detector-Detectors. StrobeAlertÂ® A Cobra exclusive, works with tens of thousands of emergency vehicles currently equipped with traffic light controlling strobe emitters. Provides advance warning of the presence and/or approach of emergency vehicles. Safety AlertÂ® Warns driver of the presence and/or approaching emergency vehicles, railroad crossing, and road hazard locations equipped with Cobra's exclusive Safety Alert Â® transmitters. IntelliMuteÂ® Relative-speed-sensing Auto Mute system that virtually eliminates false alerts. Full Color Extreme Bright DataGrafixTMDisplay Full color, graphical display provides easy-to-use set up menus and easy-to-read alert screens. Customizable Display Colors Choose from 5 different Color Schemes : Full Color, Blue, Orange, Green, and Red. SmartPowerTM Automatically shuts off power to the unit when ignition is turned off. Car Battery Voltage Display Provides graphical display of the car battery voltage and also warns the driver when it is low. City/Highway Modes Instantly switch between one of the preset City Mode vs Highway Mode. Red Light/Speed Camera Location Alert Warns the driver of upcoming red light and/or speed camera locations, utilizing the state-of-the-art GPS (Global Positioning System) engine. Programmable Location Alert Add up to 1000 location-based alerts of your choice. Programmable Speed Alert Provides alert when exceeding driver-preset speed limit. Digital Speedometer Provides accurate, current vehicle speed using Global Positioning System. Latitude/Longitude Information Provides accurate latitude/longitude information using Global Positioning System. 8-Point Compass Provides accurate, 8-point directional reading using Global Positioning System.